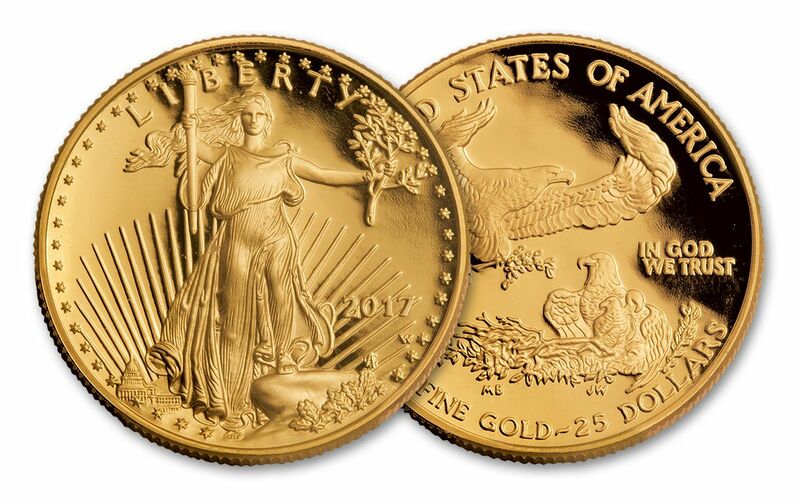 The 2017 Gold Eagle Proof Sets are Here! 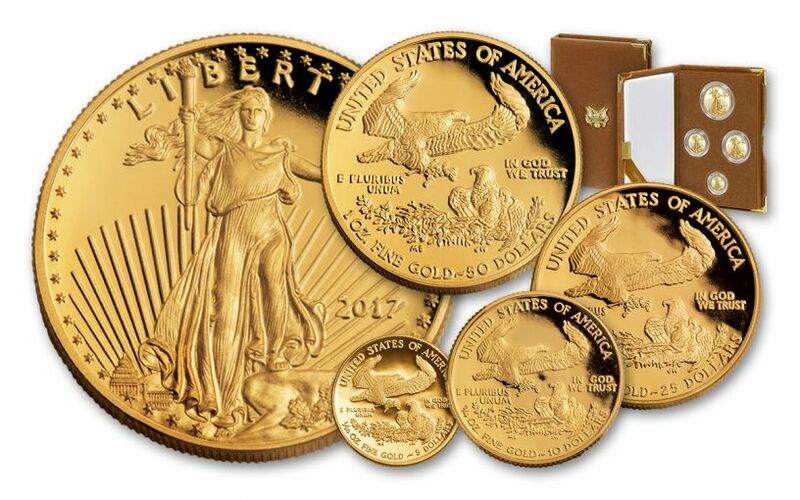 So, you can imagine how our buyers felt when they were able to put together not one, two or three, but ALL FOUR of 2017's Gold Eagle Proofs in one amazing set! 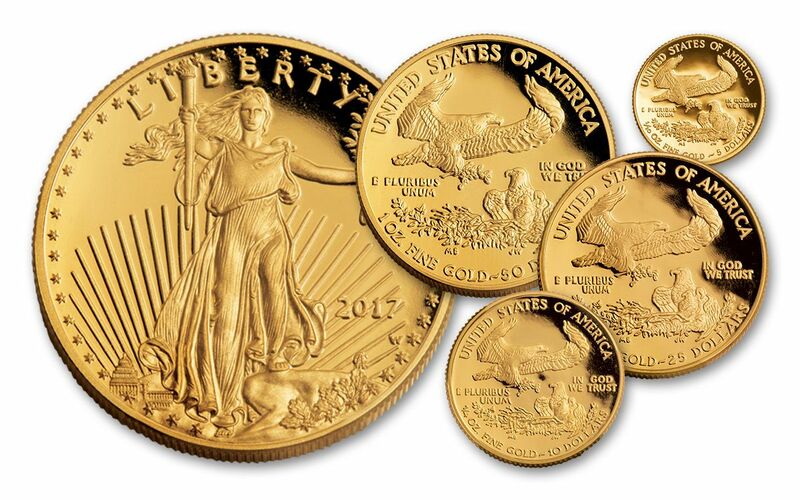 That's right -- this collection includes a $5 Tenth-Ounce, a $10 Quarter-Ounce, a $25 Half-Ounce and a classic $50 One-Ounce 2017 Gold Eagle Proof! 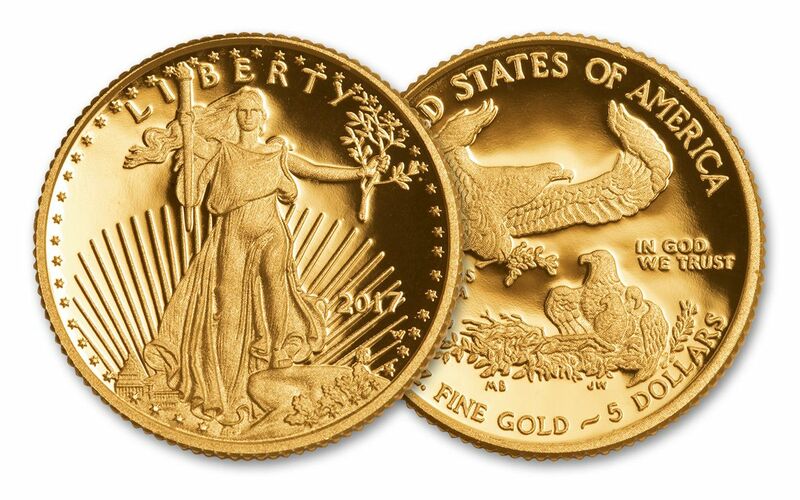 All legal tender, all struck in .9167 pure gold and all with the same beloved designs of Augustus Saint-Gaudens on the obverse and Miley Busiek on the reverse. 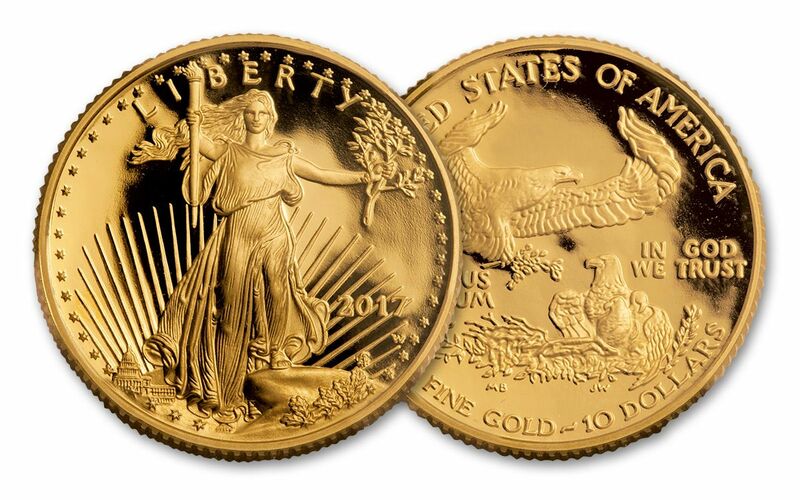 However, unlike Uncirculated Gold Eagles, each proof is struck multiple times using specially prepared dies and polished planchets -- all resulting in Gold Eagles with crisp, stunning details and lustrous, mirrored surfaces. 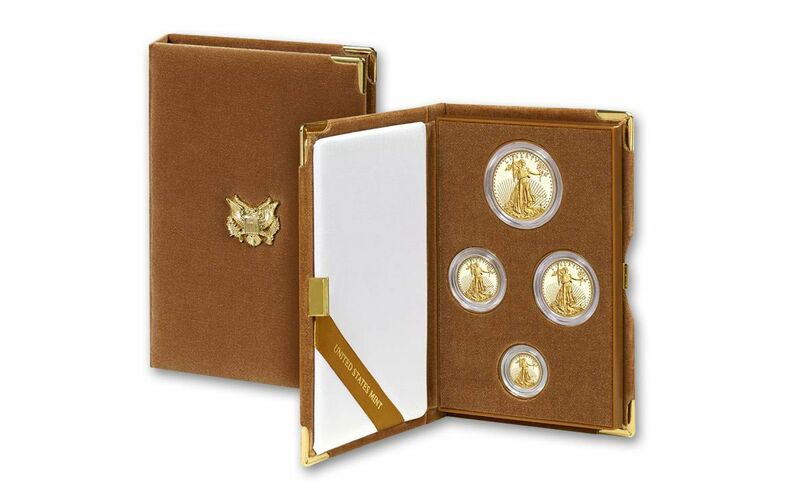 Each proof in your 4-Piece Gold Eagle Set will arrive to you in exactly the same gorgeous condition that they had when they left the production floor at the West Point Mint. 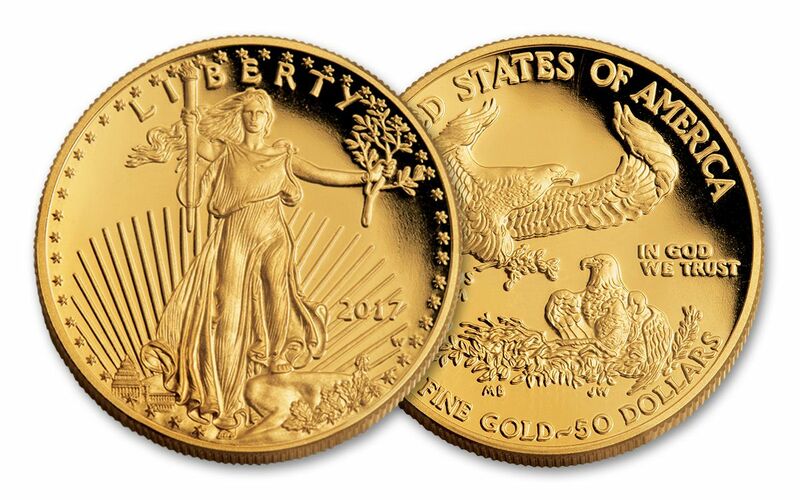 Don't wait, though -- individually, these coins are already tremendously popular. Put them all in one collection and you can see why we're expecting them to barely touch the shelves in our vaults before they're on their way out again! Put one in your cart today!